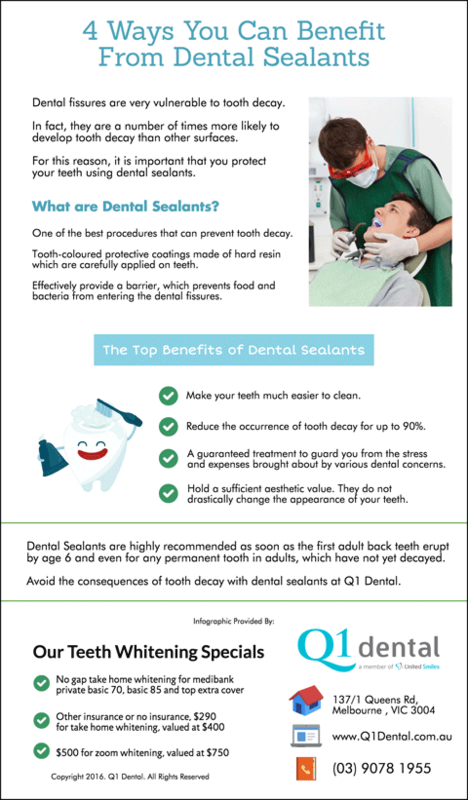 Dental Sealants are highly recommended as soon as the first adult back teeth erupt by age 6 and even for any permanent tooth in adults, which have not yet decayed. Avoid the consequences of tooth decay with dental sealants at Q1 Dental. Contact us today!